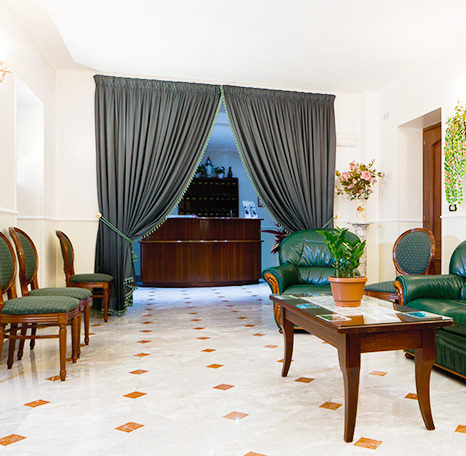 Situated in Rome, along Cassia street, hotel Villa Maria Cristina Brando, offers his guests a pleasant resort to enjoy silence, peace and quietness. Managed by Sacramentine Sisters, this structure has got a big parking place (by request), a garden with a refreshed area, a playground for children, a recreational area with a TV, a bar and a chapel. Breakfast will be served every morning (included in the price of all rooms). All single, double, triple and quadruple rooms are well light. Each one has got a TV, air conditioning, the internet WI-FI access,an individual service and a comfortable furniture. It is also available an internet point, a print service, a typing office and a fax service. Opened since April, 2000, you can find the Hotel at the edge of the Archeological Park in Veio, close by Roma Golf Park Club. Well served by public transport the structure has got 36 beds in 12 single rooms, 9 double rooms and 2 triple rooms, with private bathrooms, air conditioning and TV. Rooms capacity can be increased up to 46 seats. This House offers great quietness. It has got large halls, a big garden, a chapel and a large park inside(by request).